Florida farmers produce more fresh tomatoes than any other state. Yet Florida home gardeners find it difficult to grow tomatoes. By changing a few basic practices, home gardeners can increase their chances of success. My philosophy of growing tomatoes in Florida (mixed with science) is outlined below. First, I choose mostly determinate varieties that have resistance to key diseases. Most gardeners are used to growing indeterminate varieties. Farmers mostly grow determinate types. Determinate varieties are more compact and produce most of their crop at one time. You can usually harvest all the fruit in two to five pickings and then pull up the plants. Indeterminate varieties, sometimes referred to as “everbearing” tomatoes, set fruit along a vine stem that continues to grow all season. 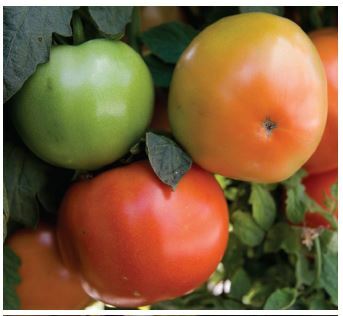 Correct variety selection is a must for success with tomatoes in Florida. 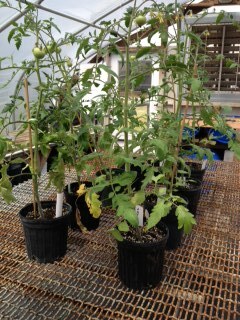 One reason home gardeners have a difficult time growing tomatoes in Florida is because of incorrect variety selection. Most popular (indeterminate) tomato varieties lack resistance to Tomato Spotted Wilt Virus (TSWV) and bacterial wilt. These two diseases wreak havoc in home as well as commercial plantings. Amelia, a determinate variety that has TSWV resistance, has started showing up in some retail outlets. For a list of other varieties to look for, consult this publication, “Tomatoes in the Florida Garden”. Secondly, I plant reasonably early – usually after April 1 (maybe earlier this year due to warm late winter). Tomato plants grow best when temperatures exceed a specific base temperature for a certain number of days (referred to as heat units or degree days). Tomatoes are heat-loving plants that need a long warm growing period to grow from seed to fruit. Optimum fruit set occurs within a narrow night temperature range. Tomatoes produce the largest yields of highest quality fruits when day temperatures are in the range of 80 to 85ºF and when night temperatures remain above 62 but below 72ºF. Thirdly, I fertilize to produce a healthy, sturdy plant when the plant is young. With the first open flowers, I reduce fertilization (particularly the nitrogen) to about half the original rate. When the first fruits are about two inches in diameter, I reduce fertilization a little more. Once I harvest the first tomatoes, I further reduce the fertilizer to about ¼ the original rate or completely quit fertilizing. Many home growers fertilize tomatoes too much. This results in a big green plant with few tomatoes. This reduction in fertilization is mainly important with the amount of nitrogen being applied. The plant still benefits from adequate potassium. There are two basic phases of growth in plants – vegetative and reproductive. When a tomato plant begins to produce flowers, it is becoming sexually mature (switching from a vegetative phase of growth to a reproductive phase of growth). Just remember that as plants mature and fruit, the demand for nitrogen decreases. 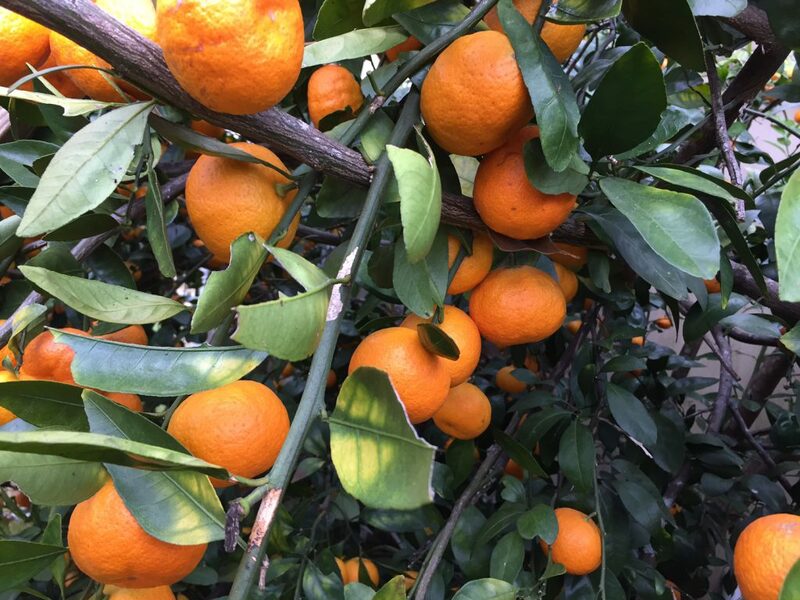 Excessive nitrogen can reduce fruit set and development. Too much nitrogen keeps the plant in a vegetative phase of growth resulting in a big, overly vigorous, green plant with few to no fruit. As heat, humidity, rains, diseases and insects increase during summer months, tomato production declines. Entire plants may begin to die. At this point, I’m thankful for any production I got. I do away with the plants and find something else to do other than grow tomatoes. Regardless of what the tag says one size does not fit all. As with clothing, a piece will undoubtedly be too large for some and too small for others. Trying to go with a “one size fits all” approach to lawn care will lead to the same kind of frustration and disappointment as an ill-fitting garment. All turfgrass is not created equal. Thus management of our various turf species requires different methods. 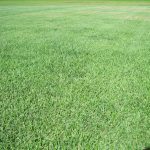 It is common for a homeowner to be unaware of what type of turfgrass they have – it’s all grass after all – what difference does it make? Misidentification leads to problems because proper management for one type may be counterproductive to another type. In order to create a practical turf management plan, it is critical that the species of grass is properly identified. Why is it important to know the species of turf in a lawn? Two of the most common mistakes extension agents observe is excessively low mowing height of St. Augustinegrass and over-fertilizing Centipedegrass. Both of these errors can reduce turfgrass vigor and decrease its tolerance to pest issues. Another potential maintenance pitfall is using a herbicide that is not labeled for use on a given type of turfgrass. Several popular herbicides available on the market can cause damage to St. Augustinegrass and/or Centipedegrass. Thus turf can be inadvertently killed by herbicides when they are applied to the wrong species. Before a lawn maintenance plan is developed, be sure to know what type of grass is present and then follow UF/IFAS recommendations for proper care. If assistance is needed with identification, contact your local extension office. To learn more about lawn care, visit this site or plan to attend “Caring for Your Florida Lawn” at the UF/IFAS Extension Bay County office on April 8th. For more details call 850-784-6105. It’s mid-February, and regardless of the groundhog’s prediction, spring seems to have arrived in northwest Florida. 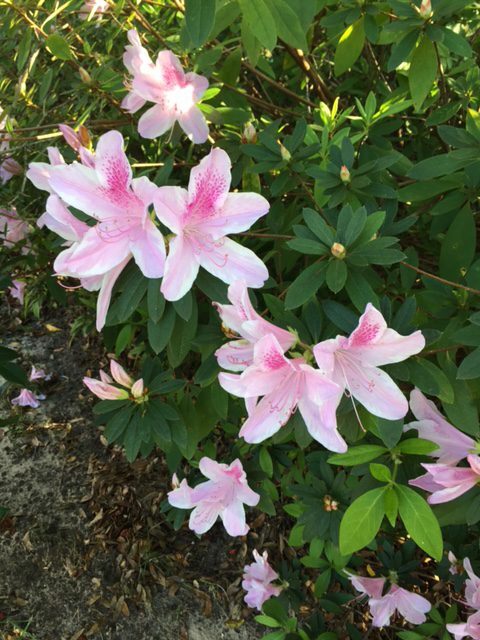 In my neighborhood, all the azaleas have bloomed. While beautiful, it’s something that usually doesn’t happen around here until well into March! According to NOAA and NASA climate data, 2016 was the hottest year globally on record, followed by the previous hottest years, 2015 and 2014. In fact, 16 of the 17 warmest years documented (since official record keeping began in 1880) have been since 2001. The United States also experienced a record-setting year of natural disasters in 2016, ranging from floods to droughts and wildfires. As the warming trend continues, gardeners, farmers, and wildlife managers alike will find it necessary to adjust their long-held practices. When plants bloom or put on fruit early, these changes can have real economic and commercial impacts. Farmers compete on a global scale to get products to market, and if northern climates start experiencing warmer temperatures, Florida farmers could lose their competitive edge. In natural systems, a change in migration or hatching could affect the success of a protected species’ survival. The time frames for these life stages are often legally protected by state or federal laws. 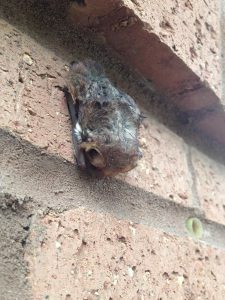 For example, in Florida, bats cannot be “excluded” from a building between the April 16-August 14 due to the maternity season. Beach re-nourishment projects are restricted and heavily monitored during sea turtle nesting from May-October. If these time frames start skewing earlier in the year due to changing temperatures and early onset of spring and summer, laws or common practices might need to be evaluated and changed. In response to these changes in weather patterns, the interesting science of phenology (not to be confused with the brain-mapping “science” of phrenology) has regained popularity in recent years. Phenology is the study of when annual events in the natural world begin—the first hatching of shorebirds, the blooming of spring flowers, the migration of butterflies. For many years, both amateur and professional naturalists have kept records of these phenomena, observing them for pure scientific interest. Now, phenology research has become real-time documentation of a changing world. There are several national networks of citizen scientists making observations and recording them online, including Project Budburst, FrogWatch USA, and the National Phenology Network. If you enjoy spending time outdoors, consider joining one of the many phenology networks and contributing to the larger body of scientific observation. The more we understand about climate-related changes, the better we can prepare and adapt. Daffodils are blooming in the UF/IFAS Leon County Extension Demonstration Garden. Daffodils, including paperwhites and narcissus, are in the Amaryllis family and have been cultivated for centuries. The Greeks and Romans admired the beautiful flowers and the plant’s scientific name, Narcissus, is shared with the Greek mythological character who couldn’t stop staring at his reflection. Many old homesites and historical sites in north Florida have daffodil bulbs that have continued to bloom since the early 1900’s. 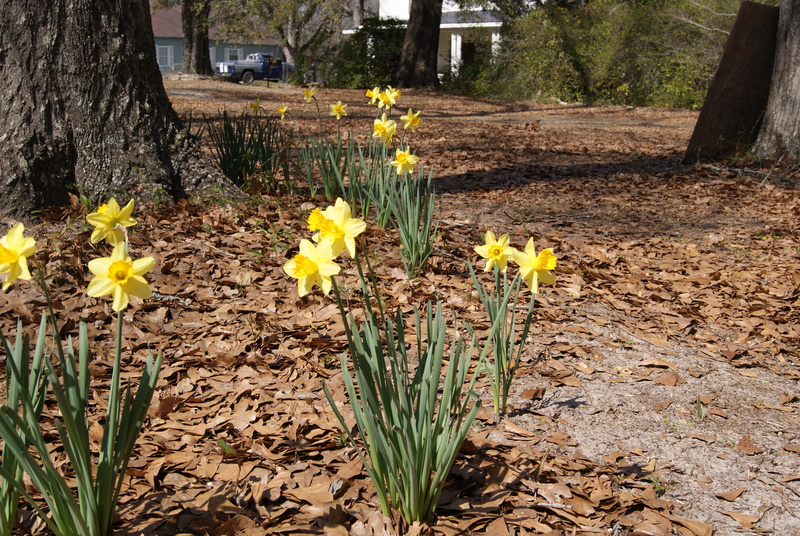 Daffodils can be seen in the winter to early spring and many varieties are hardy in north Florida. While this is the time for enjoying their flowers, daffodils are planted in the fall. If you’ve caught yourself staring at the beautiful flowers and would like to plant them in your garden, you have time to prepare for next year. Daffodils can be planted once the soil has cooled and do best in sites with mostly sun, but a little shade is okay. Be sure to choose planting areas that don’t collect water. Locations with a slight slope are perfect. Bulbs can be ordered from catalogs or purchased at local nurseries. Varieties (Division in parenthesis) good for our area include ‘Carlton’ (Large Cupped), ‘February Gold’ (Cyclamineus), ‘Trevithean’ (Jonquilla), ‘Erlicheer’ (Tazetta), and paperwhites (Tazetta). Once the soil is cool (October to November), bulbs are planted four to six inches deep and should be well watered following planting and, if a dry winter, watered through flowering. Be careful not to overwater, as wet soil promotes rotting of the bulb. After flowering and warmer temperatures, the leaves will begin to fade. Do not remove leaves or flower stalks until completely brown and dry as they provide nutrition to the bulb for storage the next year. After several years, the bulbs may be divided by digging and lifting the bulbs and separating those that easily break apart from each other. It is best to replant the divided bulbs immediately. The bulb has the ability to adjust itself in the soil to reach optimal soil depth and temperature. The term ‘tazetta’ is thought to come from the Italian word for the small cups used for drinking espresso coffee. Next time you stare at the flowers, notice how they resemble a small cup in a saucer. For more information on growing daffodils in Florida, visit edis.ifas.ufl.edu or contact your local UF/IFAS County Extension Office.